I was asked to commission a family portrait for Tatiana, who wanted something that represents her loving family. Tatiana has been a long time friend and I’ve always admired her bravery (moving miles away to another country), her intellect (she’s a true inspiration) and her nurturing nature with her kids – especially the way she pours knowledge and scholastic into them. She’s a dope writer and we share that trait along with a love of books. 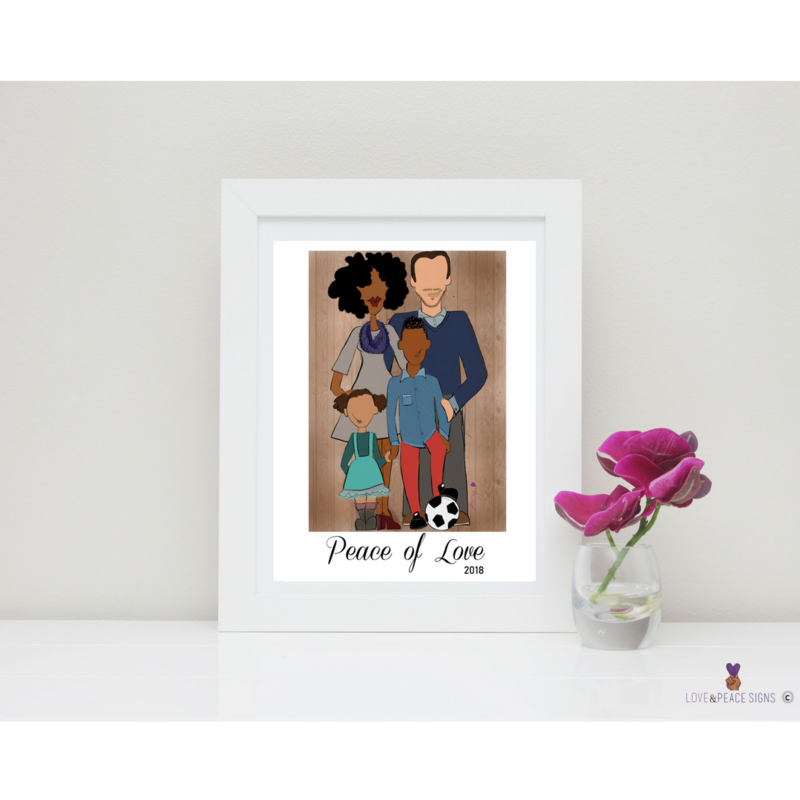 Here’s more on Tatiana’s story, why she chose to capture her family in illustration and tips she has on mothering and navigating the journey of life. 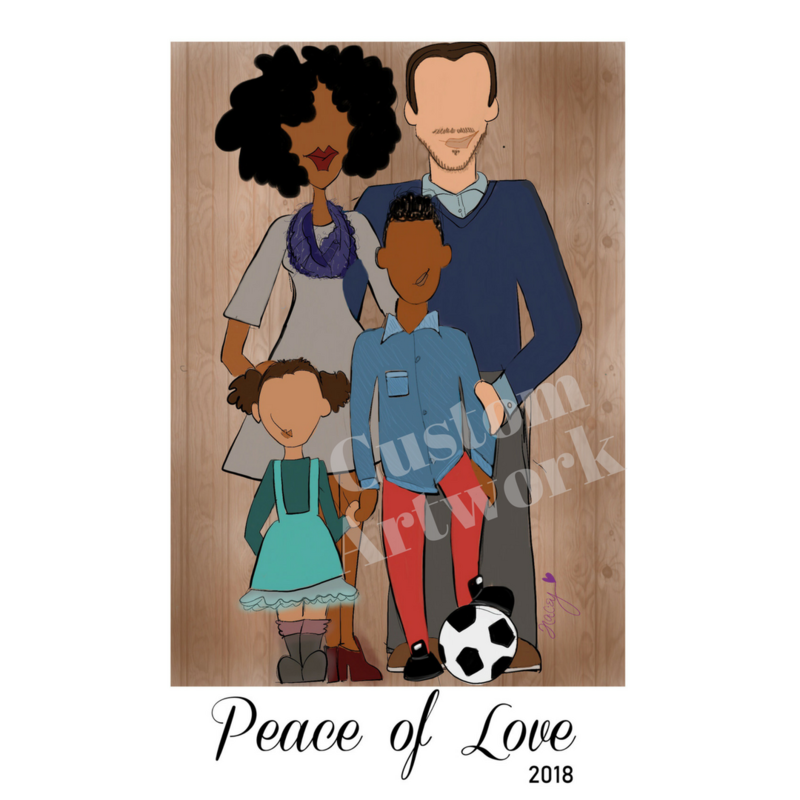 Why did you want to get a commissioned piece of art and why did you choose the image/people to be drawn? 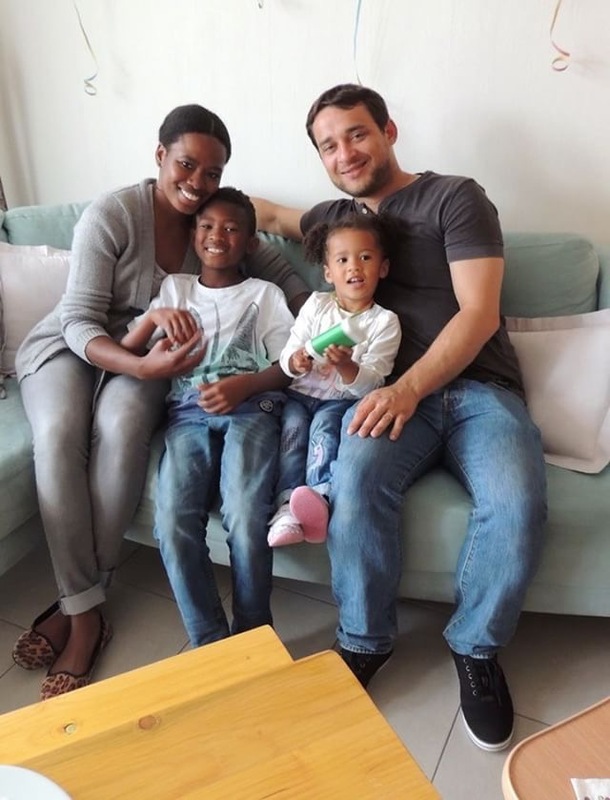 ​I live in Germany, and while it’s a lovely place to raise a family​, when it comes to media representation of people who aren’t white, it lags FAR behind. I want my home to feel safe, like an oasis. One way I try to do that is through art. 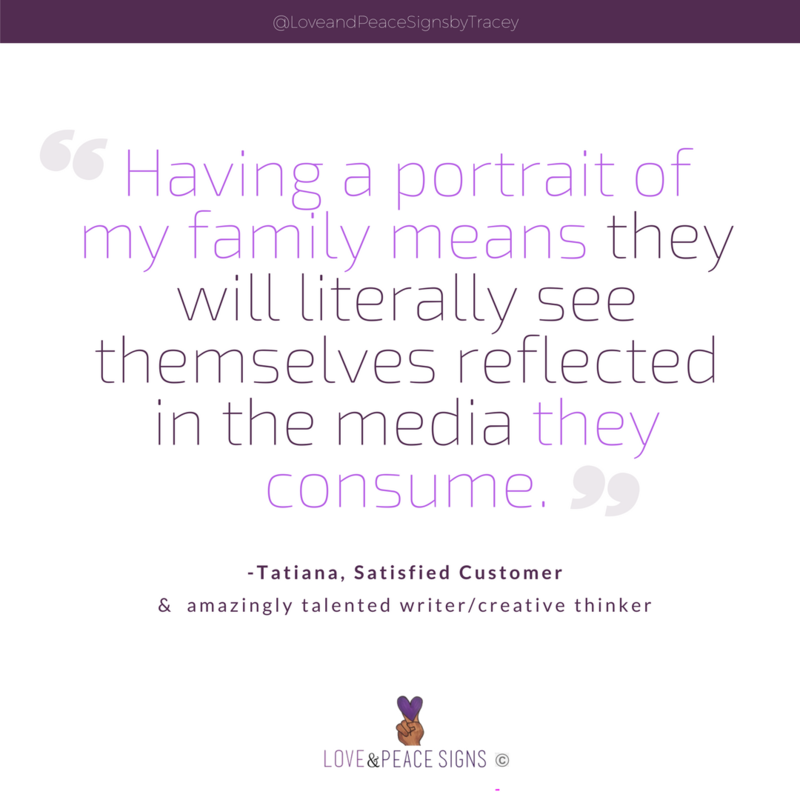 Having a portrait of my family means they will literally see themselves reflected in the media they consume. What will this art piece mean for you/your family? How do you plan to use it? ​I’ll display it in my home.​ And maybe I’ll order some Christmas cards! What are three adjectives to describe you? What is the biggest lesson you’ve learned in life? And also as a mother? ​In both life and motherhood, I’ve learned to be proactive about the things I can control and to ​not my stress level be determined by things I can’t control. If you had to give anyone advice about maneuvering through life, what would that advice be? Any advice for new/aspiring mothers? ​It’s ok to not fit in. You have plenty of time to find your right people. What goals to you have planned this year? Shout–out your social media, business goals, and any useful links that below. How can people connect with you? ​I’m on Instagram and Twitter @tatianarhanebutte, and my website is tatianarhanebutte.com. I’m launching a newsletter soon, so go sign up for it!